Bridget Coffing has more than 35 years of communications experience including public affairs and issues management, marketing communications and public relations for both major corporations and public relations and advertising agencies. She most recently served as Senior Vice President, Corporate Relations for McDonald’s Corporation. In this role, Coffing was the company’s Chief Communications Officer and reported to McDonald’s Chief Executive Officer. As a member of the Senior Leadership Team, she oversaw the Global Government and Public Affairs department; Global External Communications, encompassing media relations, public relations, marketing communications, and global digital communications; and the Global System Communications group, including internal communications, meetings and events, creative services and the McDonald’s archives. A 30-year veteran of McDonald’s, Coffing led a global team of company communicators to invigorate dialogue with employees, international media, stakeholders, customers, and the NGO community. She helped shape strategic Brand communications to strengthen the company’s work to make a difference as a corporate citizen. Coffing led the McDonald’s Global Communications Council, driving system-wide communications alignment, and the Worldwide Corporate Relations Council, helping facilitate issues preparedness and crisis management. 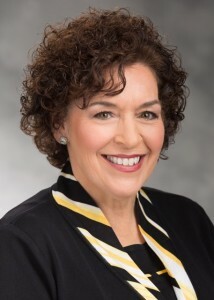 In her previous role as Vice President of Global External Communications, Coffing developed communications strategies and initiatives to reinforce McDonald’s commitment to children’s well-being, Ronald McDonald House Charities, marketing leadership, sports and entertainment alliances, global field communications, and worldwide consumer brand activities including McDonald’s FIFA World Cup and Olympic Games sponsorships. Coffing joined McDonald’s in 1985 from Golin/Harris Communications, where she specialized in food and consumer marketing. Coffing previously worked at Stephan and Brady Advertising and Regal Ware, Inc. concentrating on retail promotions, reputation management and marketing oriented communications. Coffing is the recipient of numerous top industry awards and McDonald’s recognition, including the McDonald’s Presidents’ Award, which is annually awarded to the organization’s top one percent of employees, and McDonald’s Team and Circle of Excellence Awards. She is a member of the Board of Advisors of the Plank Center for Leadership in Public Relations, the Arthur Page Society and The Seminar; a Board member of the Public Relations Society of America, Chicago chapter; and the Board of Visitors of the University of Wisconsin School of Human Ecology.